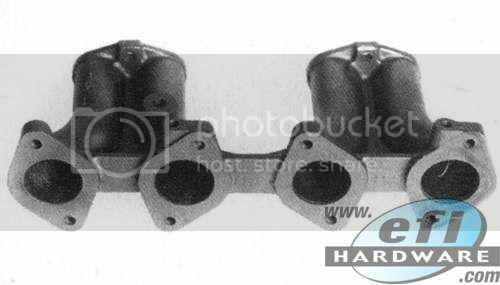 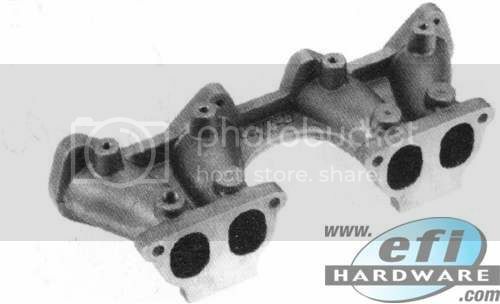 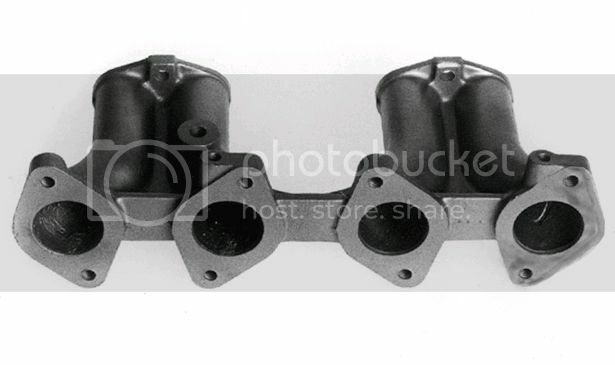 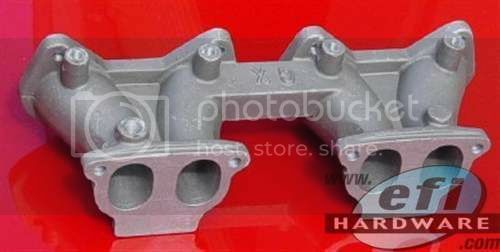 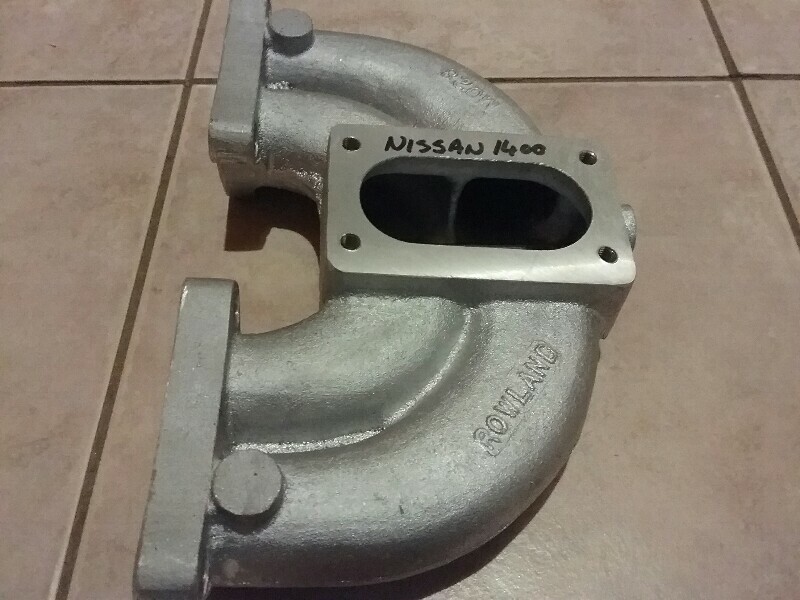 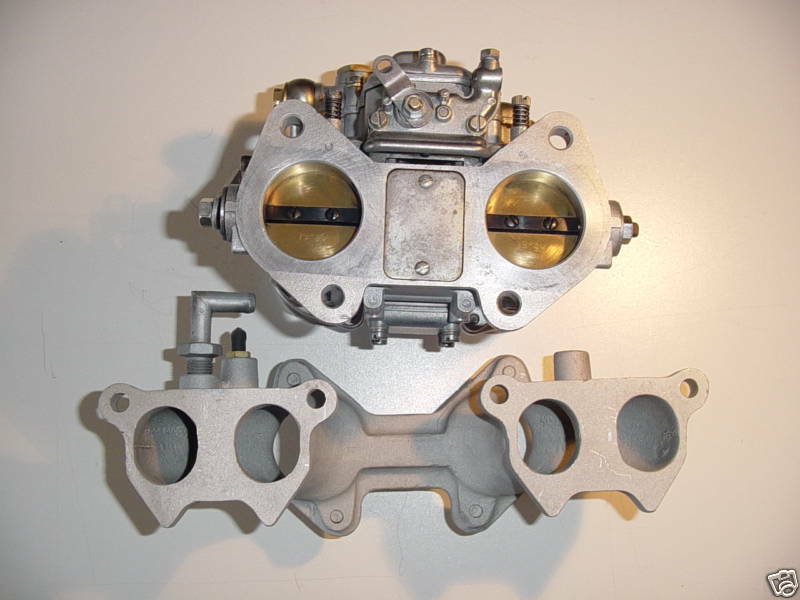 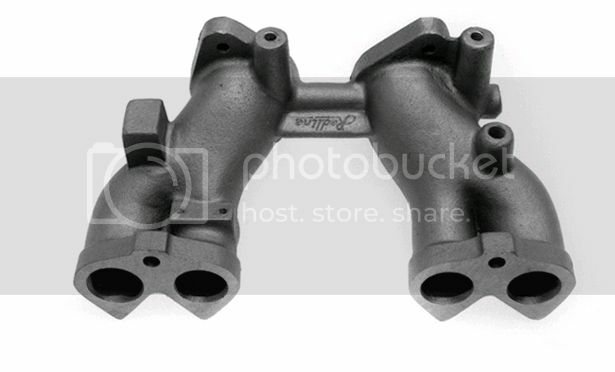 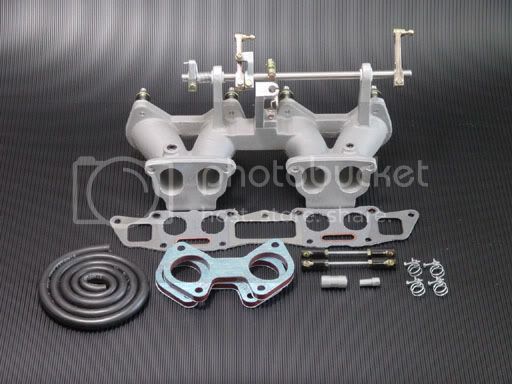 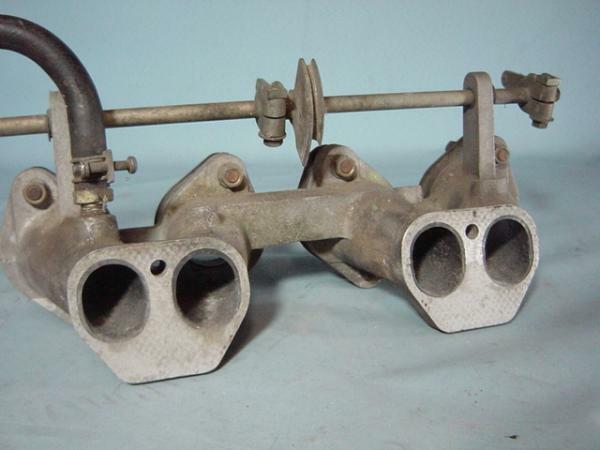 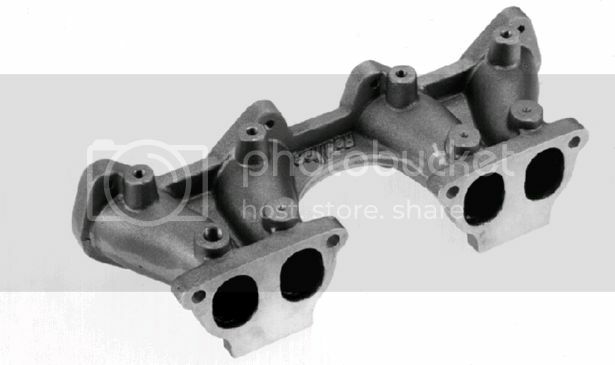 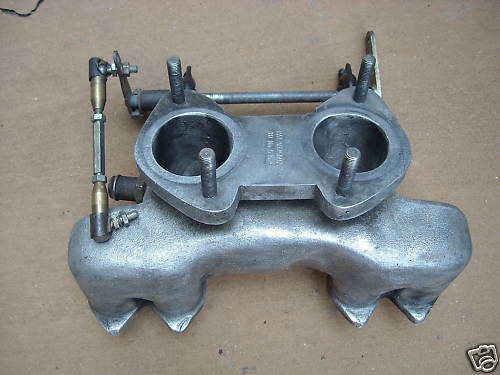 Choose an aftermarket inlet manifold to fit SUs, Webers and other sidedrafts, as well as alternative manifolds for the stock carburetors. 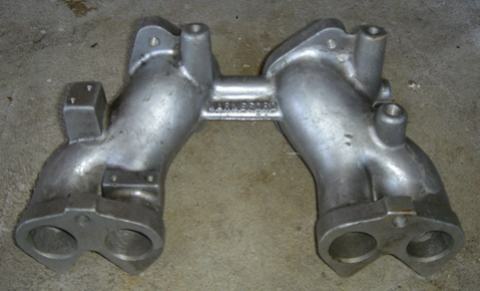 Redline Auto (Australia) makes single and dual DCOE manifolds and linkage, for A12 through A15 motors. 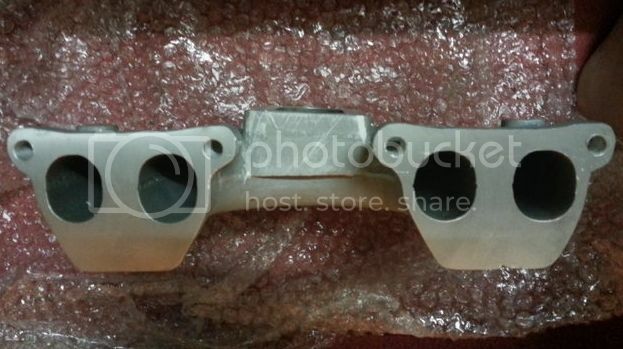 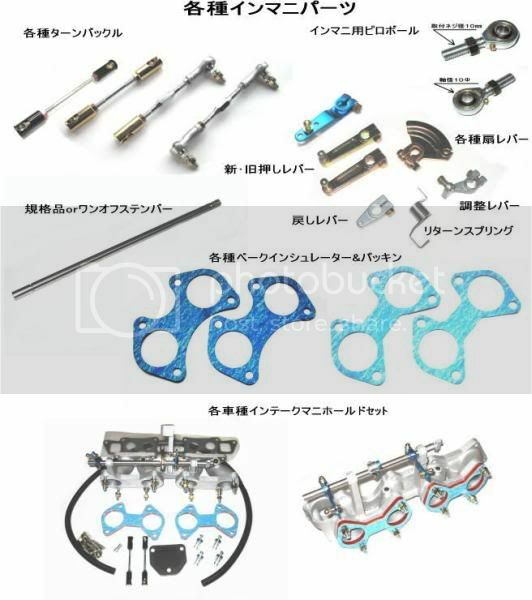 Same parts are available from Holley (Australia). 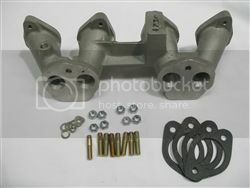 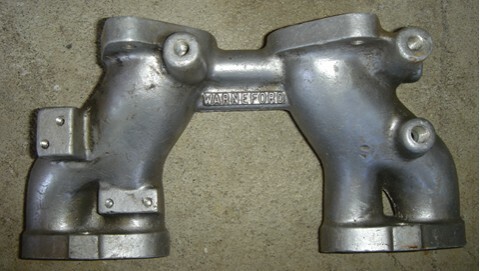 Weber manifolds are sold by various distributors. 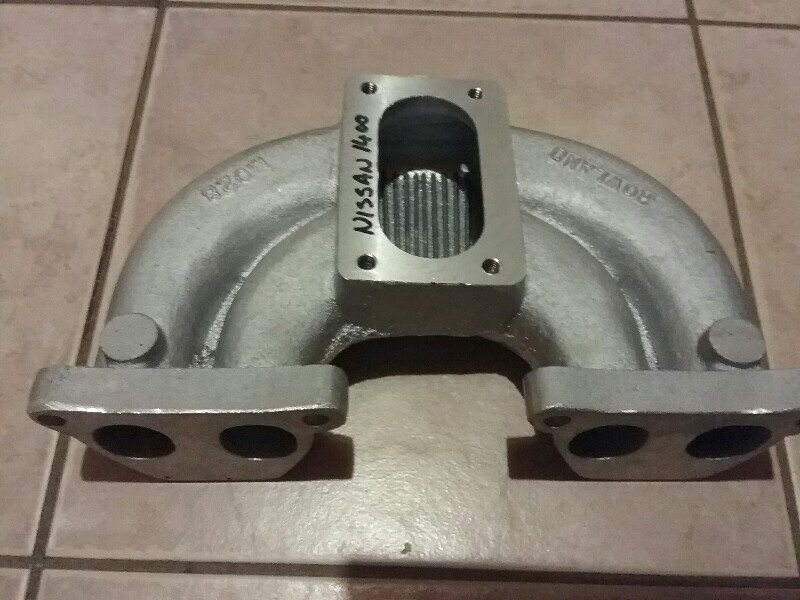 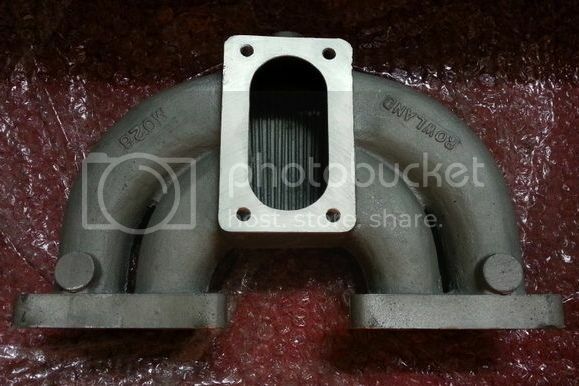 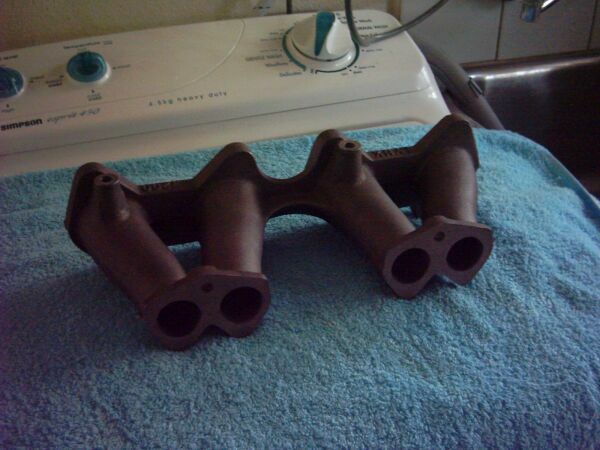 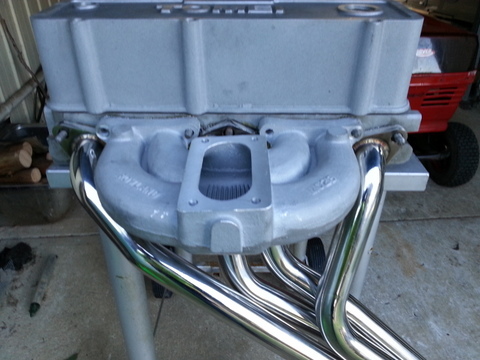 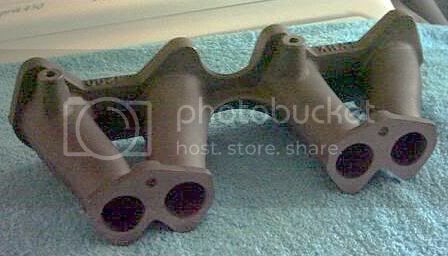 Cannon manifolds are very low profile, so you can fit inlet trumpets or a tall air cleaner. 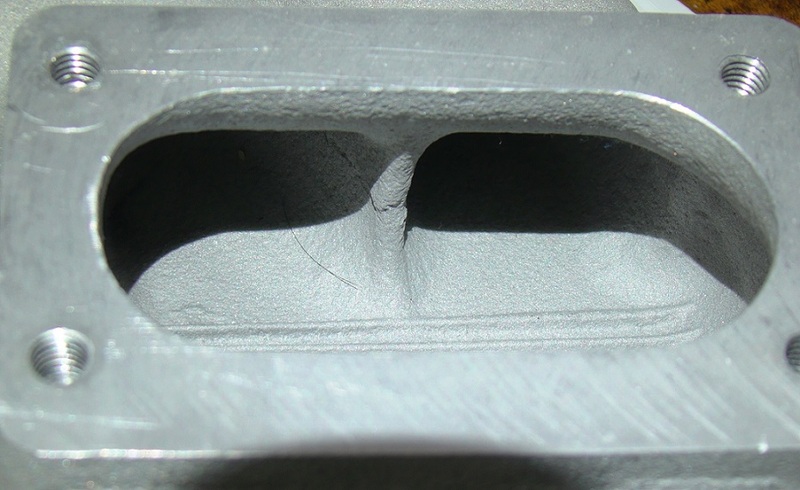 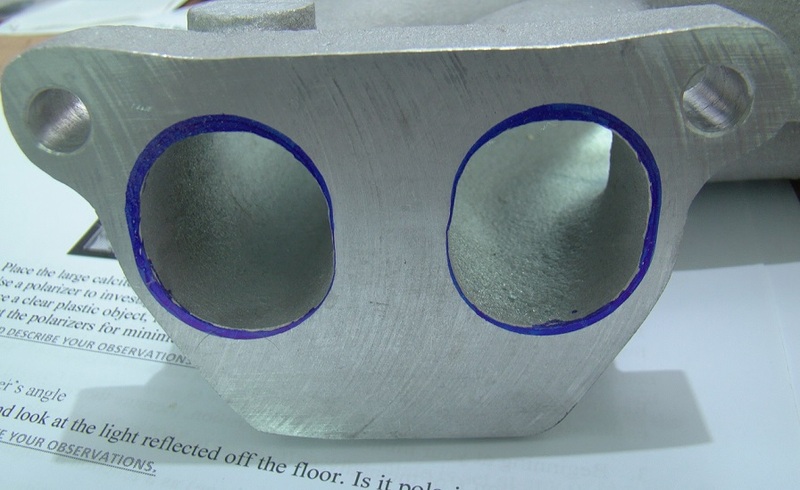 Round port, pre-emission (no provision for PCV valve) for SU or Hitachi sidedraughts. 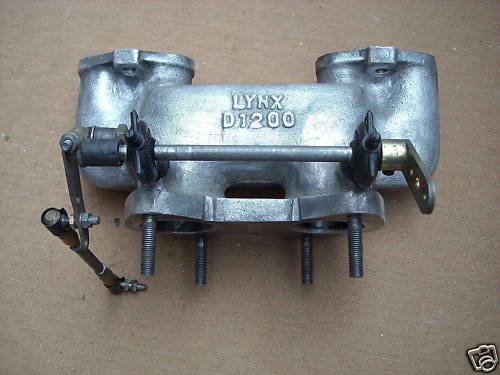 Lynx D1200 for A12 engine, twin SU HS4 pattern, round port with crossover design. 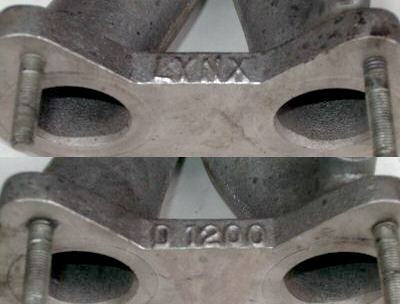 Lynx D1200 for A12 engine, single-DCOE pattern, round port with crossover design. 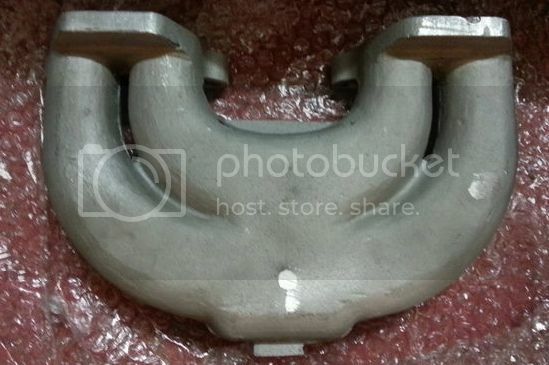 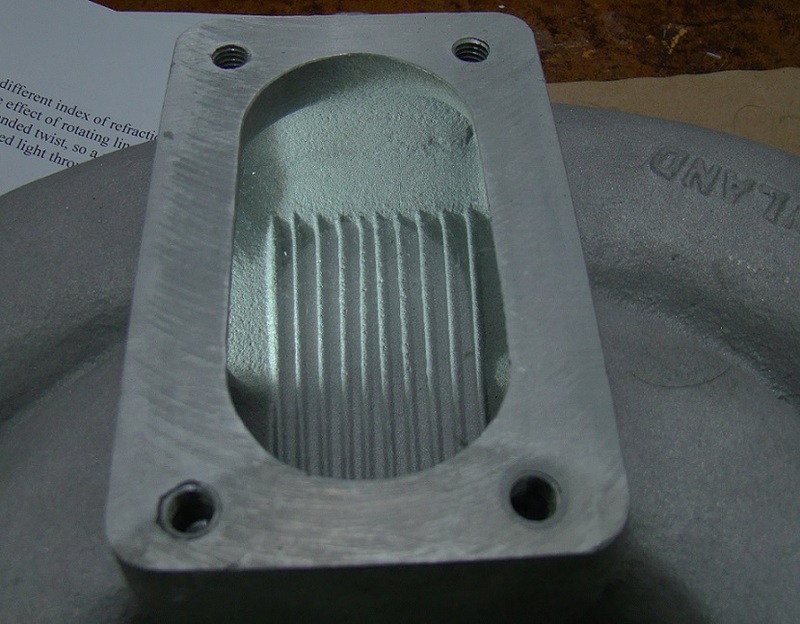 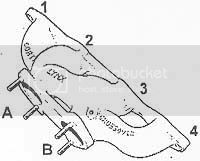 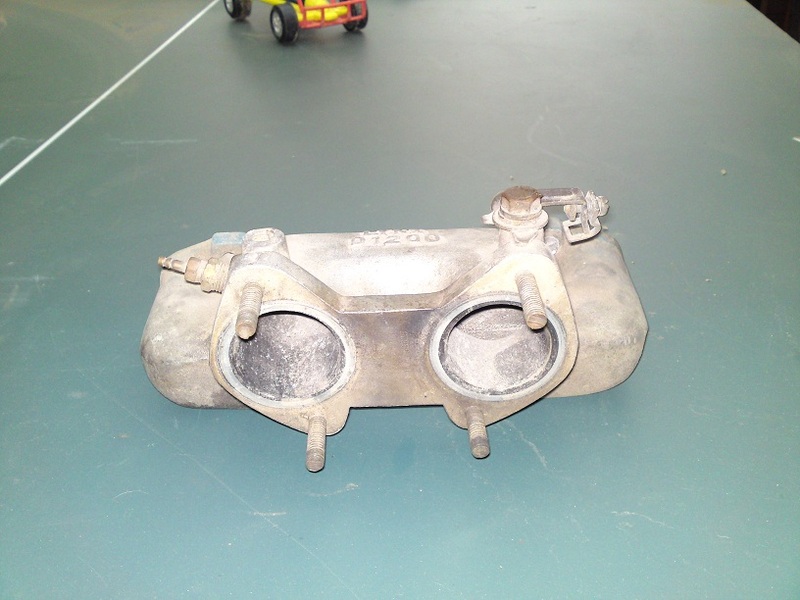 Has provision for Crankcase Ventilation. 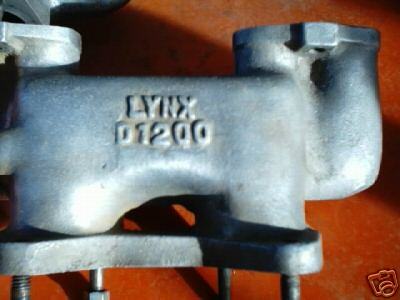 Lynx D1200 Round port for Twin Weber DCOE 40 style. 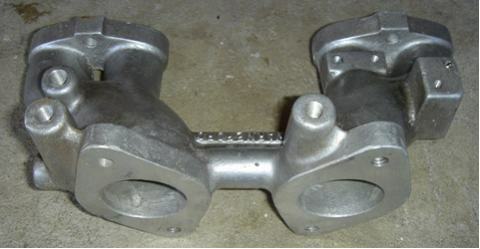 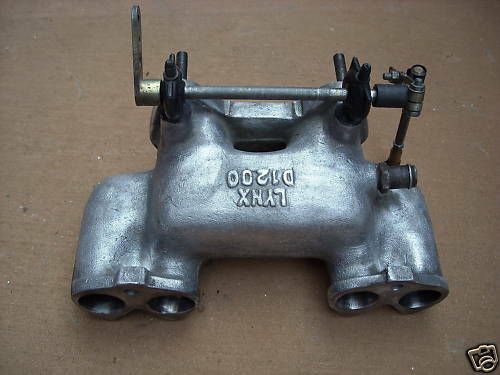 Oval port twin-DCOE manifold marked 'GX'. 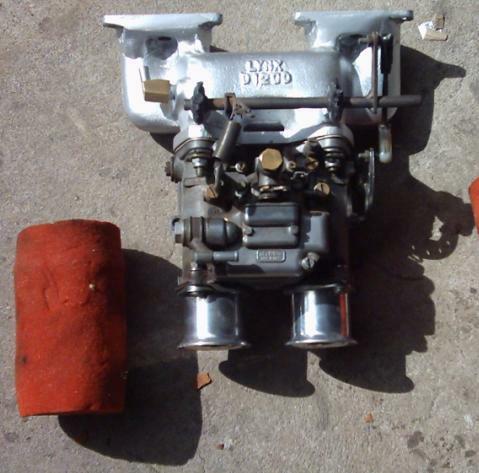 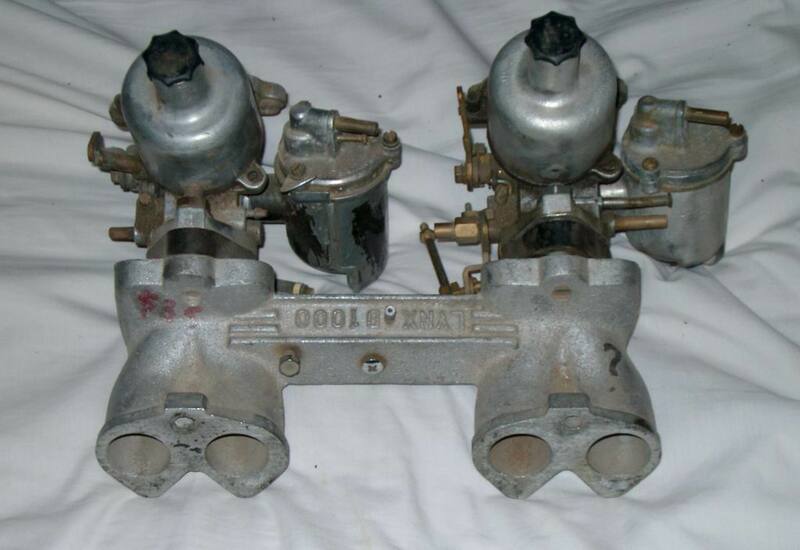 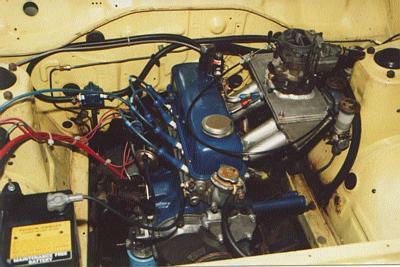 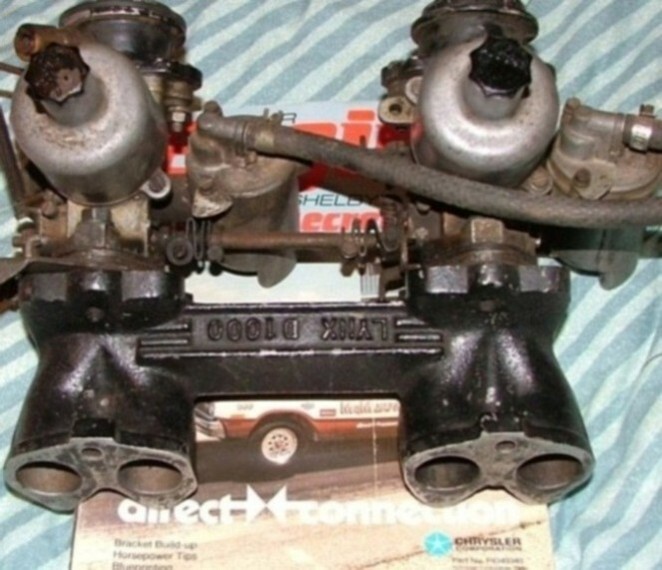 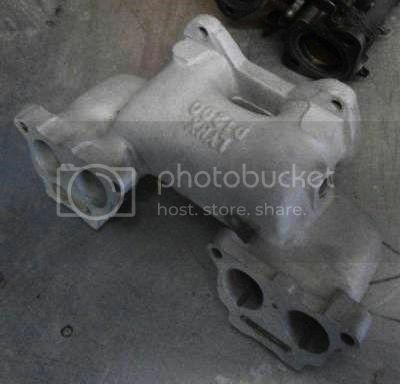 Not for the Datsun 1200 GX carburetors, which used twin Hitachis. 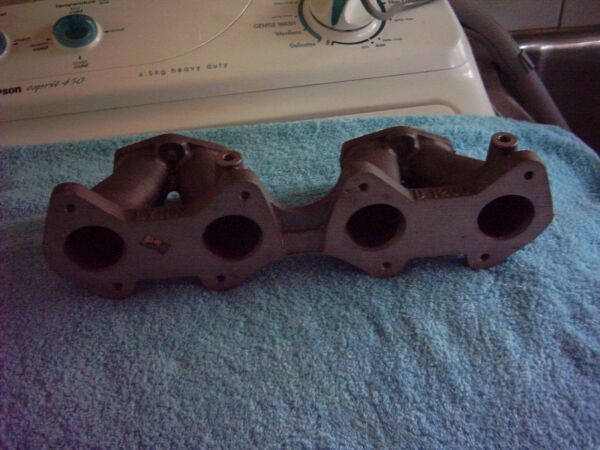 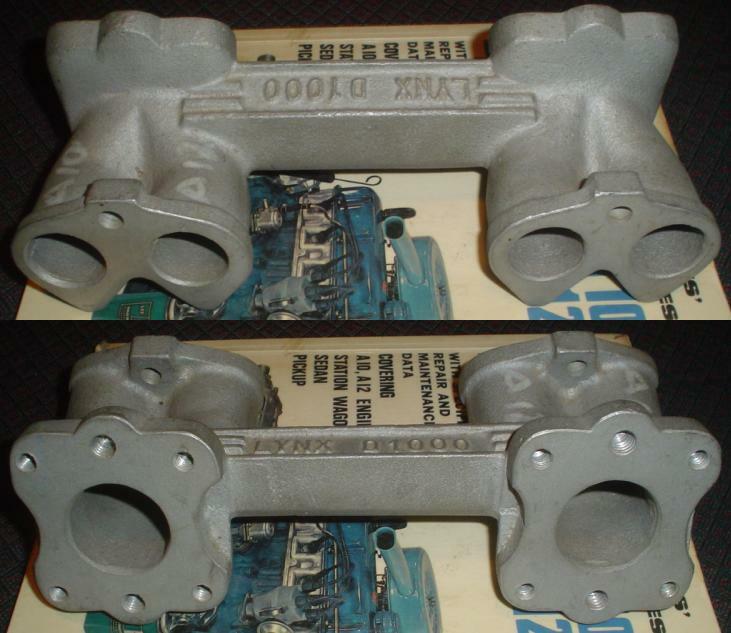 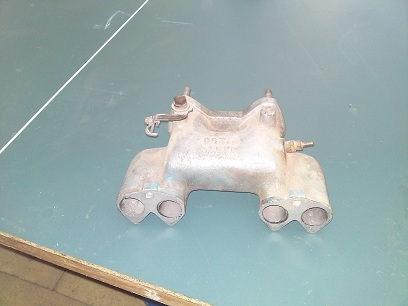 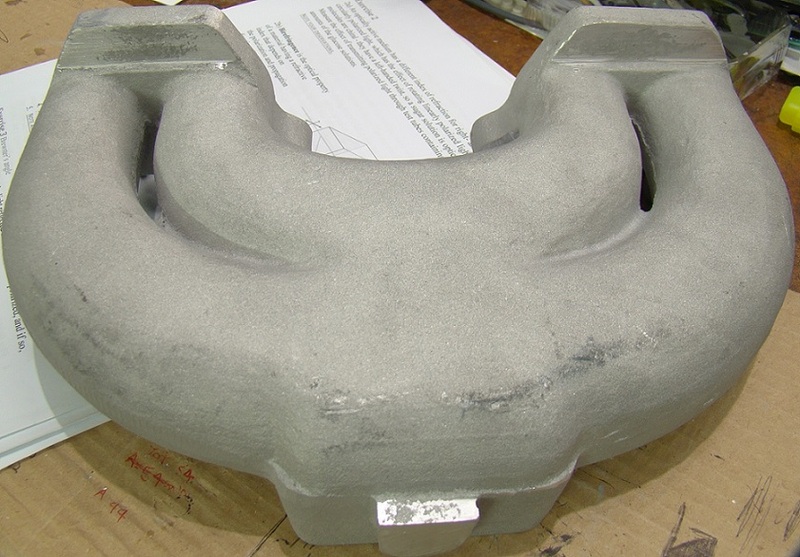 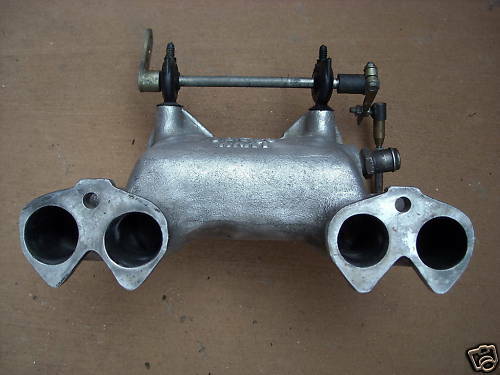 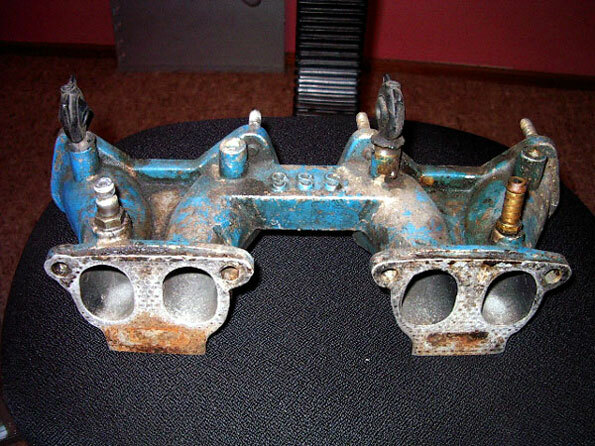 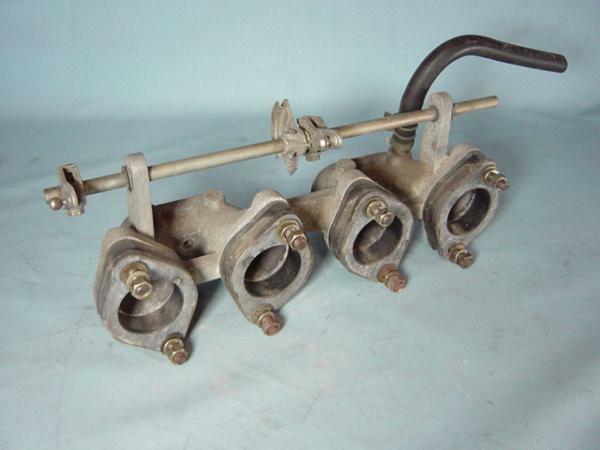 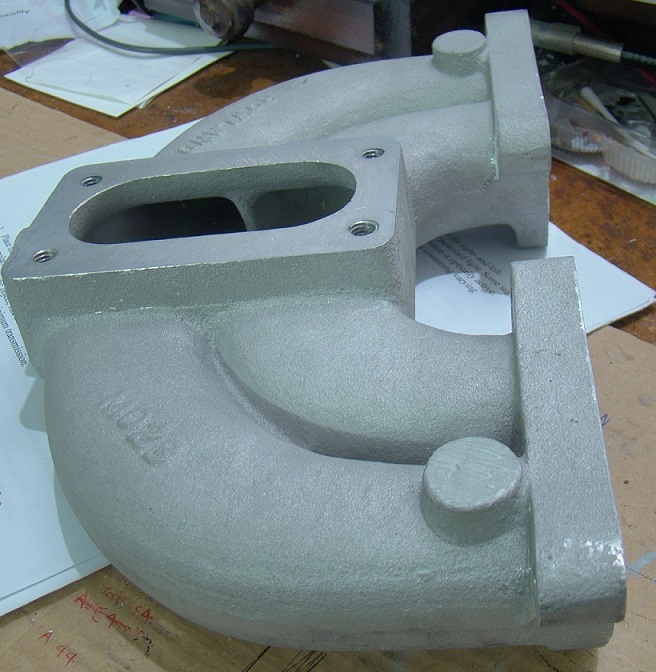 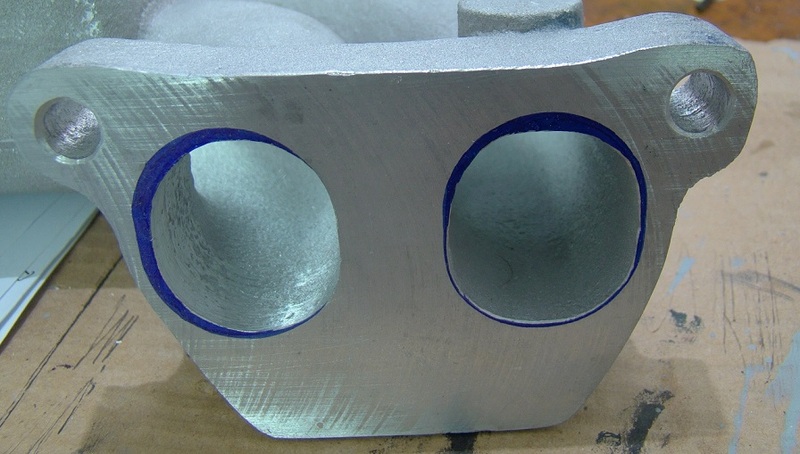 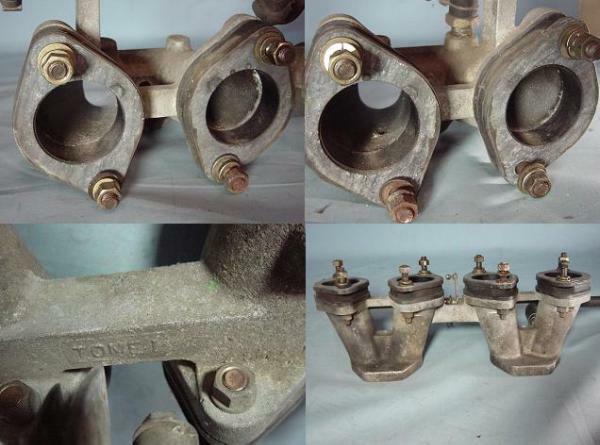 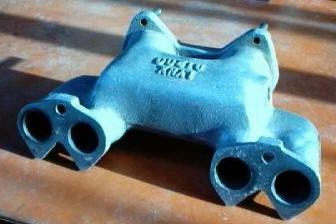 Oval port twin DCOE manifold marked 'SSS'. 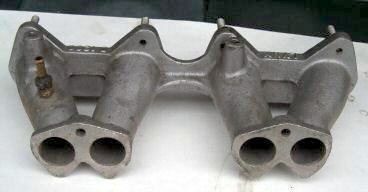 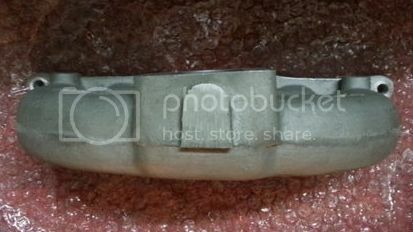 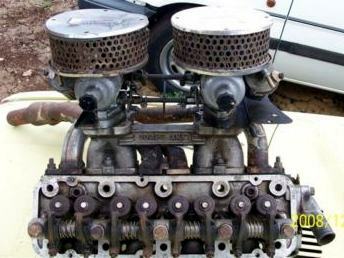 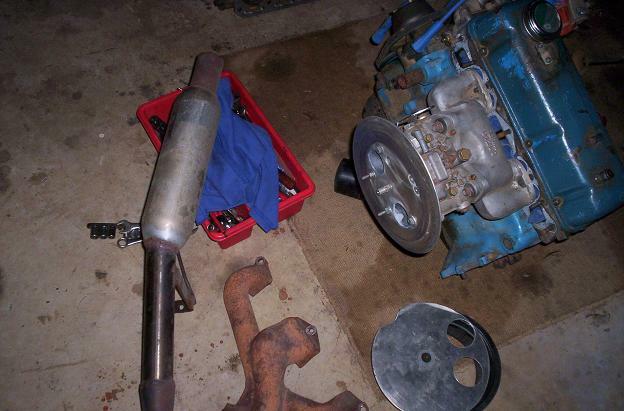 This is not for the Datsun 1200 SSS model which had round port heads. 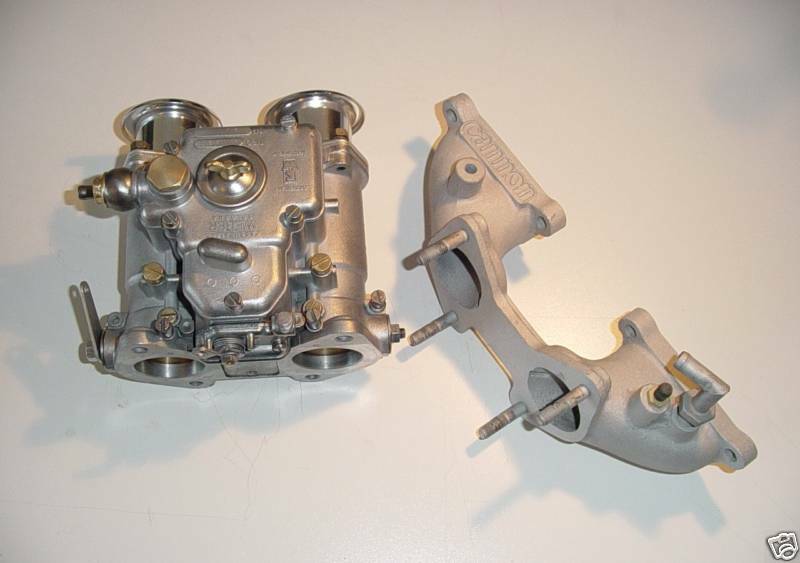 See Parts Sources#Tomei for company info.